A disease mainly occuring in young pigeons. The differential diagnosis (clinical picture which can partly look like) are, among others hexamitiasis, PMV (paramyxo) and streptococci infections or combinations of these diseases. Very contagious from April to August. In the laboratory difficult to diagnose, however clinically easy to diagnose. 4 in 1 Mix, Belgamco and Cobel are effective against adeno-coli. 1 sachet (5 g) or 2 measuring spoons (2½ g per spoon) Belgamco + approx. 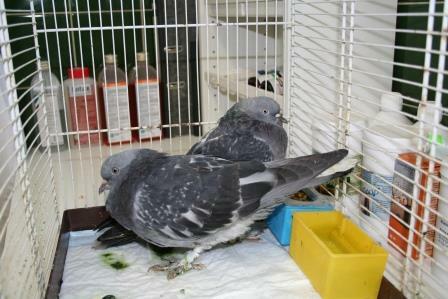 6 ml Cobel in 2 litres of water for 40 pigeons for 5 to 7 days.